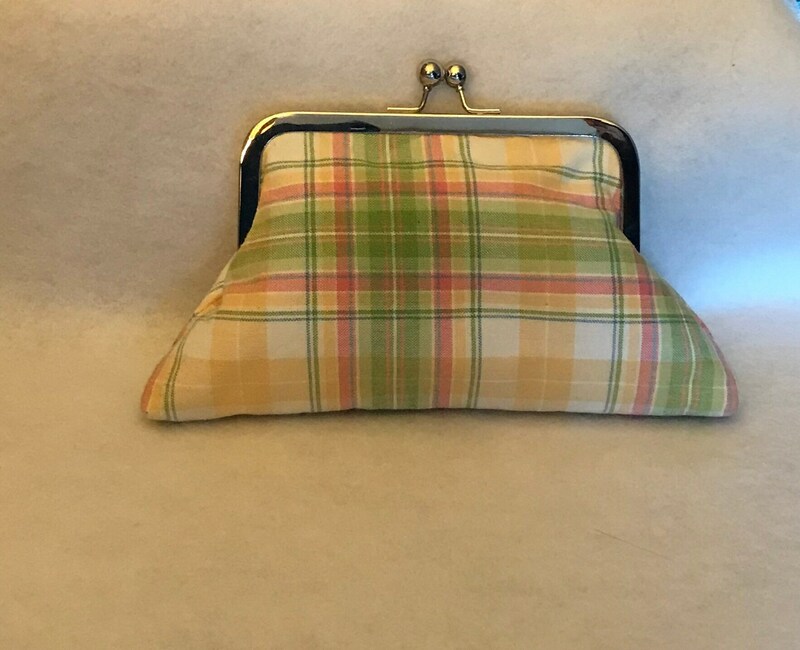 This lovely one of a kind plaid design clutch purse is made from exquisite Ralph Lauren fabric . 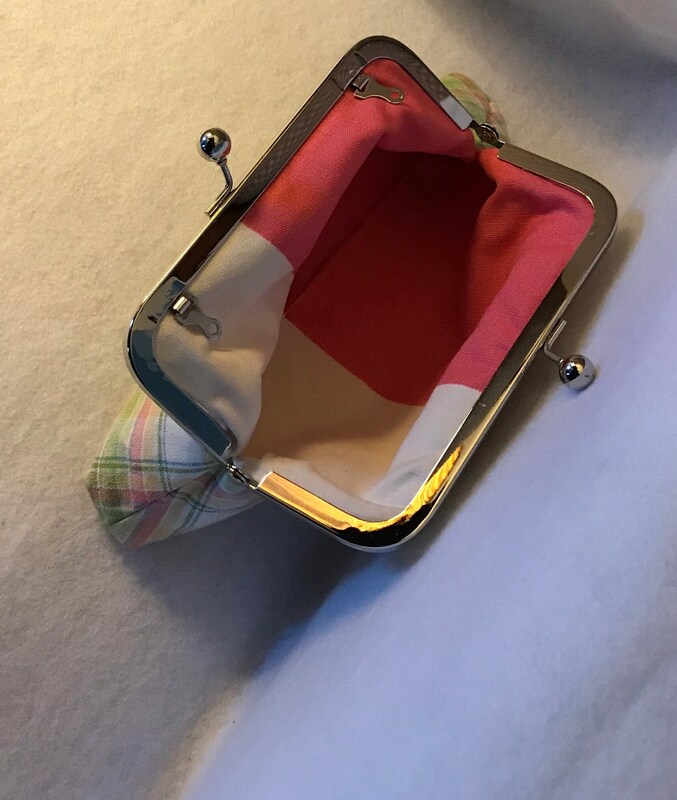 The primary colors are pastel pinks yellows and greens with white and yellow accents. 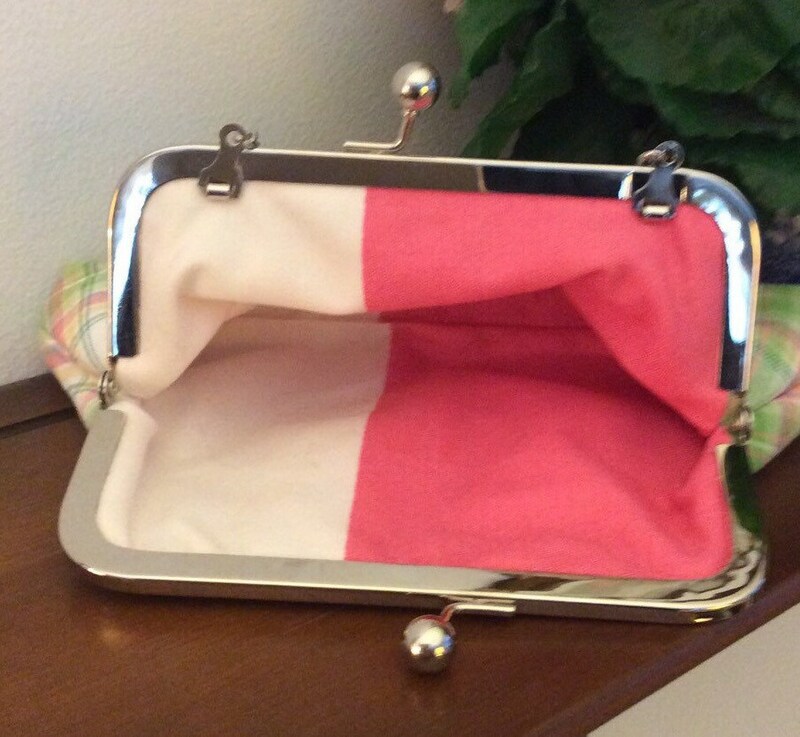 The pink and white lining is also from the Ralph Lauren collection. Both are decorator quality fabric 100% cotton and soil resistant. Made with a top quality silver metal frame. Reinforced with fusible interface so bag keeps it's shape. This is a classic bag that never goes out of style. Perfect for spring and summer. The size is perfect to carry your essentials for a day or night out: phones, keys, make-up, credit cards, money and coins. Big enough to carry on it's own or to slip in larger tote. 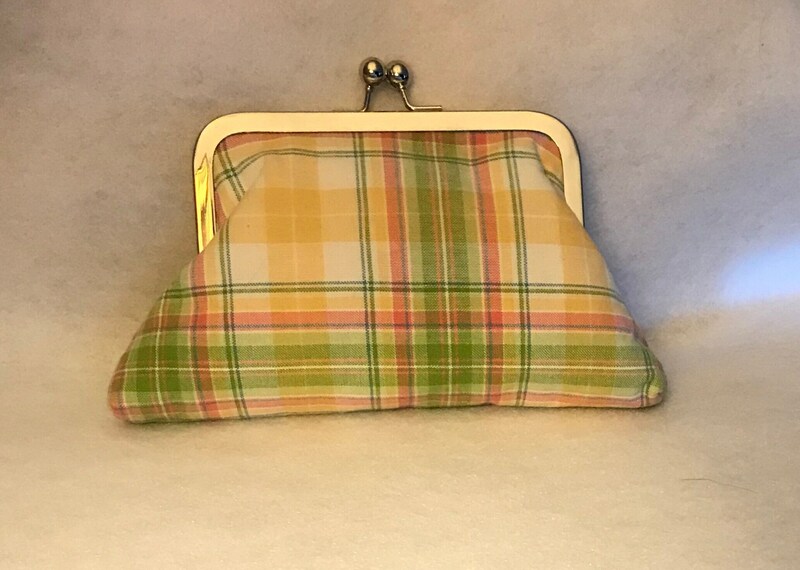 Add a chain for $3.00 to slip over your arm, or tuck back in bag Dimensions are 7"w x 5"h.
This purse, as well as many others in my collection are wonderful as gifts for graduations or weddings. 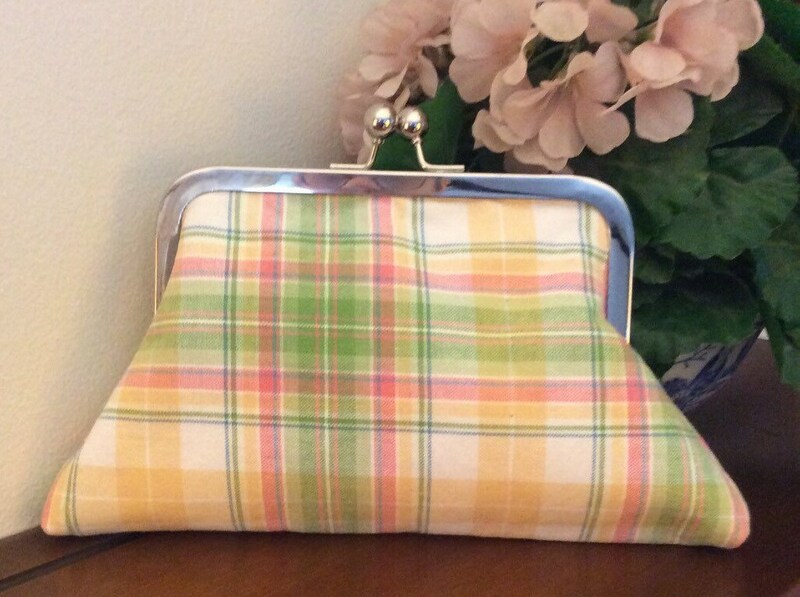 Perfect to slip a little cash or gift card in or just a little gift for yourself. Please see all of my bags. Most are using natural, upcycled and recycled items. They are one of a kind and all use high quality fabrics and supplies from designer collections. All are timeless and classic.